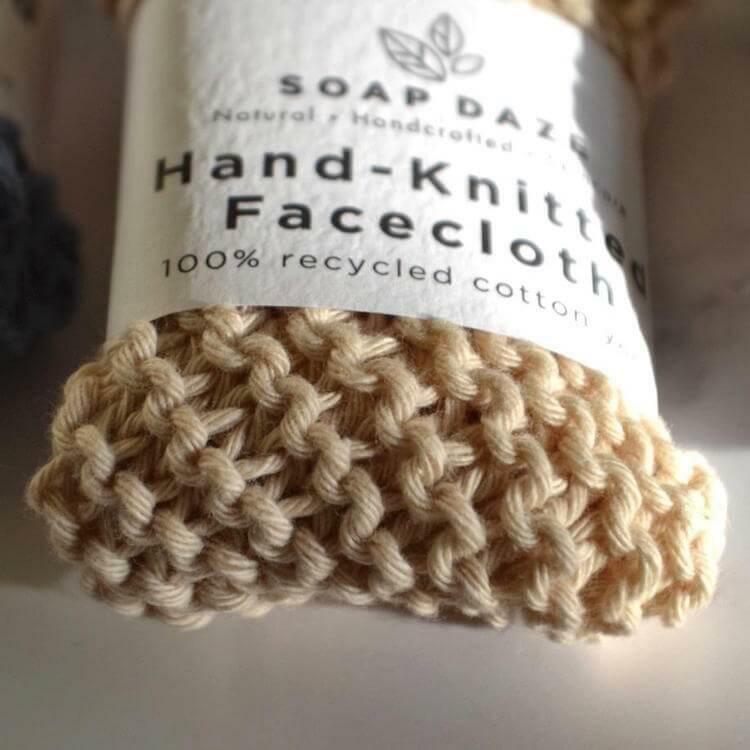 Face cloth hand knitted in Devon using 100% recycled cotton yarn. 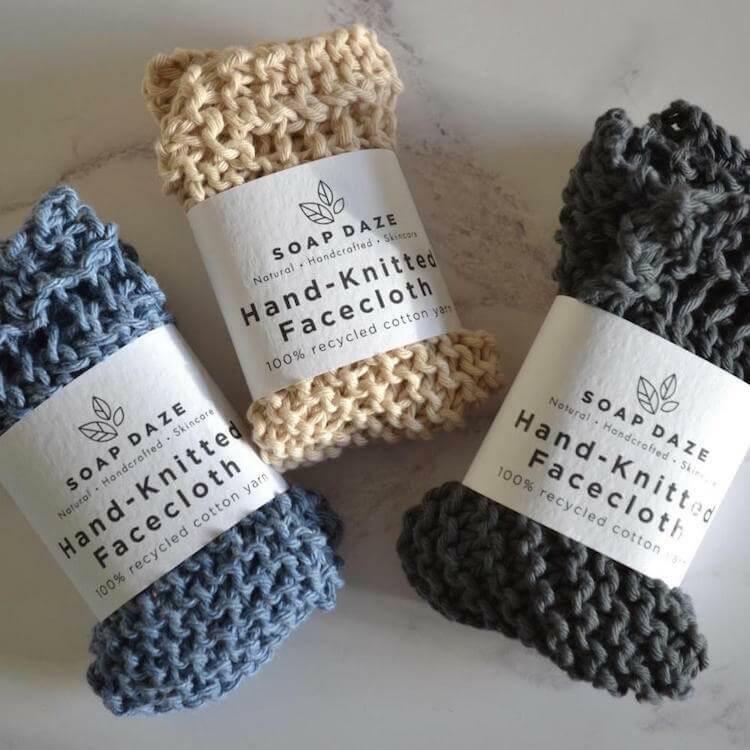 They are soft and gentle and there are three colours available: cream, denim and charcoal. 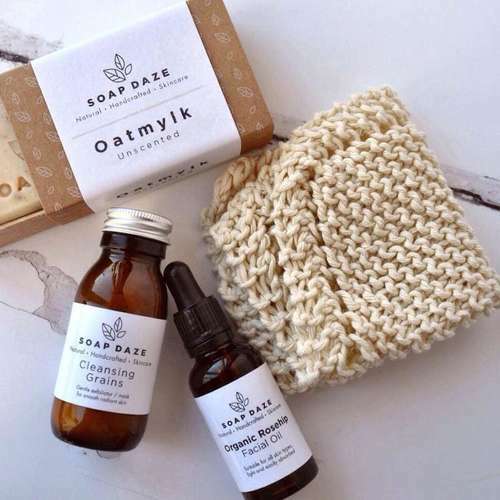 The cloths are perfect for washing away soap, makeup or skincare products. Approx. Size - 20cm square. 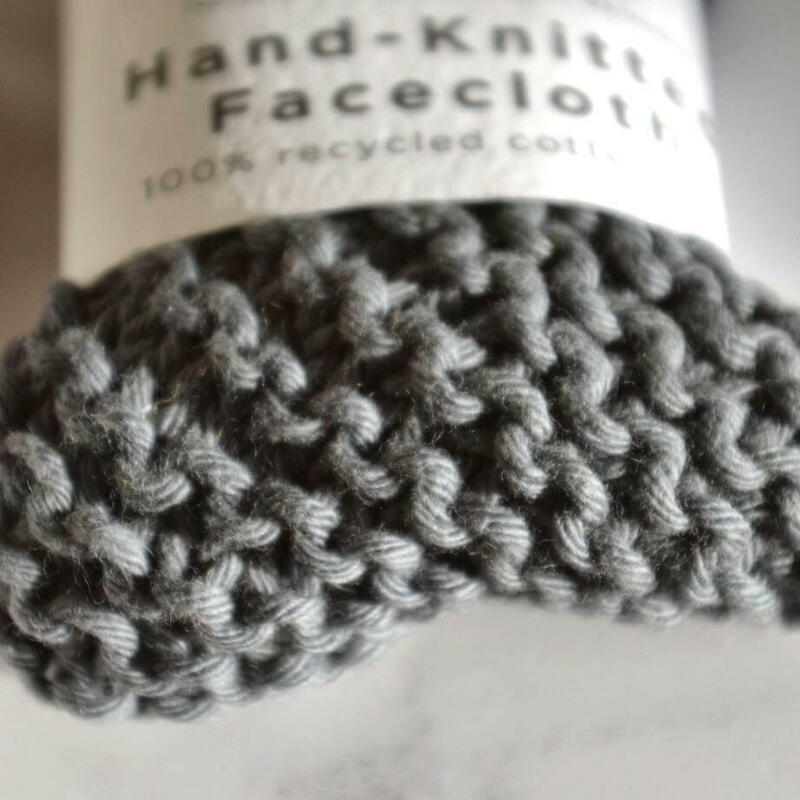 Materials - 100% recycled cotton yarn.